When out hunting, a man must be able to rely on his equipment above all else. Investing in moncoulars or night vision/thermal imaging scopes designed to make the experience of night hunting more efficient can make or break the success of the trip. The market for these handy devices is an ever expanding one. There’s an endless debate about the notions of night vision versus thermal imaging, with some hunters strongly preferring one to the other. Advances in this technology has seen the emergence of a newer night vision device known as the PVS 14. The debate as to whether this unit is preferable over conventional thermal imaging is an endless topic of discussion within the field. We took the time to compare the PVS 14 night vision monocular to an old time favorite: the FLIR Breach thermal monocular. Read on to see what we found. 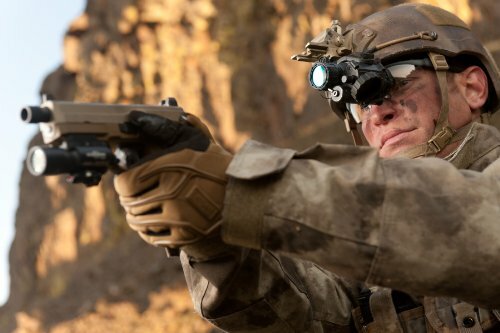 The PVS 14 night vision is a monocular device that has seen widespread usage among military forces around the world. It’s currently the primary night optic being used by the US military and special operations units. It’s known as the most versatile night vision system on the market. This is because it can be used on its own, mounted to a weapon or attached to a camcorder device if need be. It can also be mounted to a helmet for hands free usage. This means the device can be used across a broad array of activities, such as hunting and night photography. A PVS 14 operates on a third generation image intensifier; our particular test unit is Gen 3 Alpha MG. The technology was redesigned to allow the monocular to operate on just a single AA battery. This is a first for this kind of system. PVS 14 units are small and lightweight. They’re incredibly easy to take along in the field during hunting. They create little to no resistance when mounted on a rifle or helmet and are ideal for navigating distances of less than 100 yards. Before going further it’s important to outline the subtle differences between night vision and thermal imaging technology. 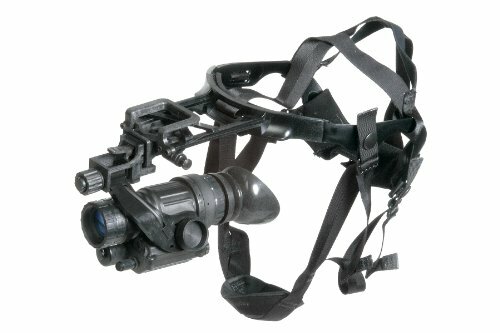 A night vision device is used to amplify or intensify human eyesight under cover of darkness or considerably low light. Today, night vision devices are popular both among military personal as well as hunters. This is thanks to the technology becoming freely available to the public some few years ago. Back in the day, night vision was solely reserved for use by soldiers in the field. They used these devices to gain the advantage over their opponents. Being able to see the threats coming in the pitch dark gave the upper hand to any combat team. Just like in warfare, night vision scopes have given hunters an advantage when out in the field. They become one’s eyes in the dark, in every sense of the word. They’re valuable devices for hunters as they don’t give away one’s position in order to acquire visuals. Most other night vision devices require a physical beam of light to be emitted toward the target in order to gain vision. Night vision technology can be divided into two main types: ‘active’ and ‘passive’ vision systems. Active night vision can also be known as infrared imaging. Infrared is part of the light spectrum that human beings are unable to see at all. The projection of this kind of light into a space allows the device to detect objects and project the images back to the viewer using image conversion technology. Passive night vision systems do the opposite. Instead of emitting their own light they make use of the light available in the surroundings. This can be light pollution, moonlight and even starlight. Using these they’re able to detect all the objects in the vicinity upon which the light is reflected. Passive night vision systems amplify between 20,000 and 50,000 times more than the human eye is able to. The downside is that night vision, as the name suggests, is reserved solely for night time use. Harsh daylight can damage the intensifier tubes located inside the unit. Night vision is also not recommended for use in smoke or debris filled conditions. There also has to be at least some light to be amplified unlike thermal imaging scopes and monoculars that can function in total darkness. Thermal devices operate slightly different to night vision ones. While both types of imagery share the sole purpose of producing imagery in low light, the way they go about it is not the same. Thermal vision operates through the use of a series of sensors and beams in order to pick up the heat patterns of an object or space. The built in technology of the thermal device is then able to convert the identified heat patterns into visual imagery you can use. Similar to the infrared light, the beams and sensors are undetectable by the human eye. Like night vision, this technology was originally designed by the military and remains relevant today within the law enforcement & fire fighting industries. The great thing about thermal devices is that they’re not restricted to being used in darkness. This is the biggest difference between night vision and thermal vision. Hunters can use thermal imagery during day light as well. This can be helpful in detecting game that may be using camouflage to blend into the surroundings. Thermal scopes and monoculars are also great for hunting in conditions of intense smoke, fog or debris. They’re ideal for detection over more than 100 yards. There’s wide spread agreement among hunters that thermal scopes are great for detection purposes but not for recognition. Conversely, night vision is said to be incredibly useful for animal recognition but less effective for detection of range. This is a great PVS 14 night vision monocular by the trusted brand Armasight. Armasight’s brand loyalty increased significantly as they’re now officially owned by industry leader FLIR. The unit features 1x optical magnification. It can be easily mounted to any conventional hunting weapon using rails and adapters. There is also an option to add a magnifier lens on to the monocular if need be. The device is durable and fully waterproof. Armasight provides a two year warranty on your purchase. The PVS 14 is designed for shorter range detection and identification. For longer range in both of these areas you can look into the Pulsar Helion XP 38/50 as it offers similar functions with optical magnification. 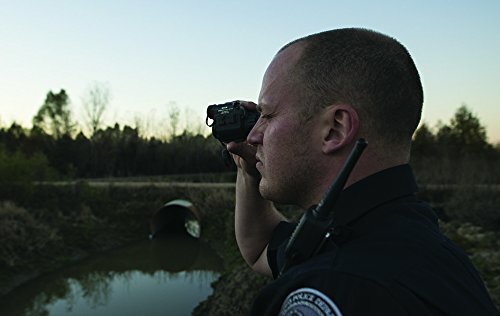 Ranging from the same brand as the afore mentioned night vision scope, the FLIR Breach Monocular is a thermal imaging device that’s also feature packed. Like the Armasight, this scope by FLIR also features 1x optical magnification. Unlike the Armasight however, the FLIR doesn’t have the option to add an additional magnifier lens. This thermal monocular is a handheld device and can’t be mounted onto a weapon. It can be mounted to helmets with ease should the need arise. It has a lifespan of about 90 minutes at full charge. Batteries can be changed while out in the field without much hassle. This device would be most ideal in detecting targets more than 100 yards away. We love that this thermal scope by FLIR has on-board image and video recording ability. Up to 2.5 hours of video or 1000 photographic images can be captured on the unit at any time. Remove the SD card to make use of the footage at a later stage. Read our full review. As you can see there is much to be gained from both the experience of night vision assistance and thermal imaging devices. Each have their benefits and distinguishable differences. It really all comes down to the nature of the hunting you intend to do. For the night hunter, it really doesn’t get better than PSV 14 technology. From performance to features the device becomes the perfect tool once the sun goes down. Whatever the need, consider investing in this technology today. It will transform your hunting forever.